Come and visit Santa with his 16 real reindeer (two of which were born this year) in his Swansea winter wonderland. Once you enter the winter wonderland you will walk into a snowy land, you will see our new Santa band playing their tunes singing along, find Eskimos fishing in the frozen lake, penguins sliding along the snow, a huge polar bear looking over his mate and baby bears in their snowy cave! Visitors will be tempted by a diverse range of high quality products such as enamel and pewter work, heritage images of Wales and Welsh slate products, carved Welsh love spoons, metalwork, photography, hand built and thrown pottery, silver and precious stone jewellery, quality yarns with accessories, traditional wooden items and toys, art works and cards for all occasions, specialist knotting, leatherwork, glasswork, and needlework together with many original decorative items for the house and garden – to name but a few! Visitors will relish the alternative shopping experience and enjoy commissioning bespoke personalised gifts or just tasting the irresistible seasonal food and drink on offer or just enjoying a glass of mulled wine to keep you warm whilst browsing. Choose from a selection of whisky, wines, fruit and cream liqueurs, fresh hot pancakes and delicious hand made chocolates. 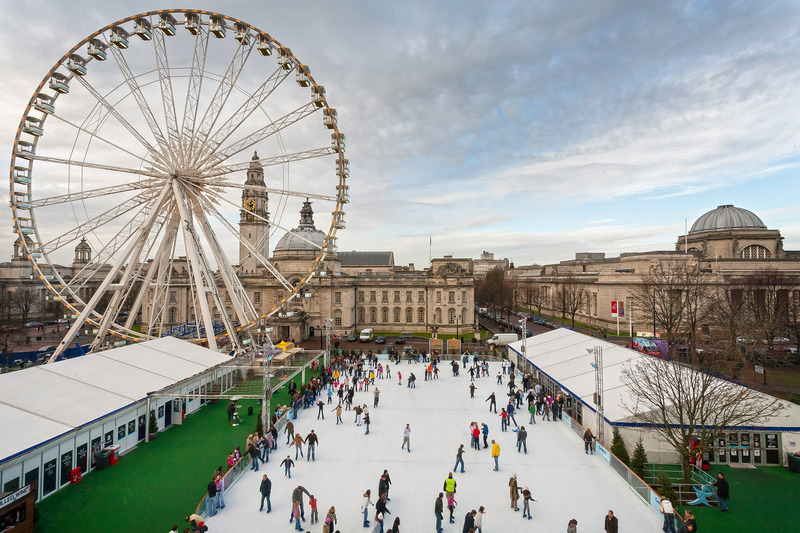 Now in its 13th year this festive celebration, situated in the Civic Centre, includes the Admiral Open Air Ice Rink, Ice Café, Star Ride and plenty of seasonal fun for all the family. Relax and warm up with a mulled wine in the newly designed Ice Bar, or choose from the exciting new menu offering an array of delicious, seasonal Welsh produce. Not to be missed is the exciting & spectacular Star Ride. This thrilling 60m high spinning chair ride, the only one of its kind in the UK, will give visitors spectacular panoramic views of our capital city. And join us for the annual Calennig celebrations on 31 December to see the new year in with a bang. With over 6 weeks of entertainment, this is the must-do Christmas experience for all the family. The Gower Heritage Centre is celebrating in style with its very own Christmas market featuring a range of local produce and crafts. Entry to the Gower Heritage Centre and the Christmas market will be free all weekend. Join the Toy Miners on a magical thrilling underground adventure – will you be lucky enough to discover Santa’s secret hide away? Tours last approximately 45 minutes. Please wear suitable clothing and footwear. Enjoy a wonderful winter adventure filled with all the magic and sparkle of the festive season, when our sensational Christmas Kingdom returns in 2013. Feel the cold tingle of winter air on your face as you glide around the sparkling ice rink, then watch your children’s faces light up as they meet Santa and tell him all their Christmas wishes. Set against a frosty backdrop filled with pretty twinkling lights, feel the Christmas spirit come alive with festive music and the opportunity to purchase a delicious feast of winter warming treats. Our Christmas Kingdom will be open throughout the festive season, so wrap up warm and join us for some winter wonder the whole family will love. Wrap up warm and head to Aberglasney and experience the unique atmosphere at the Winter Fair, with free mulled wine and mince pie to all visitors. Wander through the mansion and grounds with stalls selling beautiful handmade gifts, crafts, art, Christmas decorations, with lots, lots, more. The Fine Food and Wine hall will boast a whole range of seasonal produce such as wild game, ham, cheeses, chutneys, cakes, chocolates, cider, beers, fine wines and smoked salmon. The Gardeners Cafe will serve hot lunches as well as festive treats. The Christmas Experience is available throughout December. If you’d like your School, Playgroup, Nursery or just a bunch of your child’s friends to come along to Thornhill Farm Christmas Experience – get in touch throughout December. The children get to see close up the reindeer, donkeys, cows, sheep.. all in the same cosy barn, with Baby Jesus in the manger. The sound of Christmas songs and twinkling lights with the Star of Bethlehem all add to the Nativity atmosphere – and the children get to learn about the animals too, as well as get a sense of what Christmas is really about. 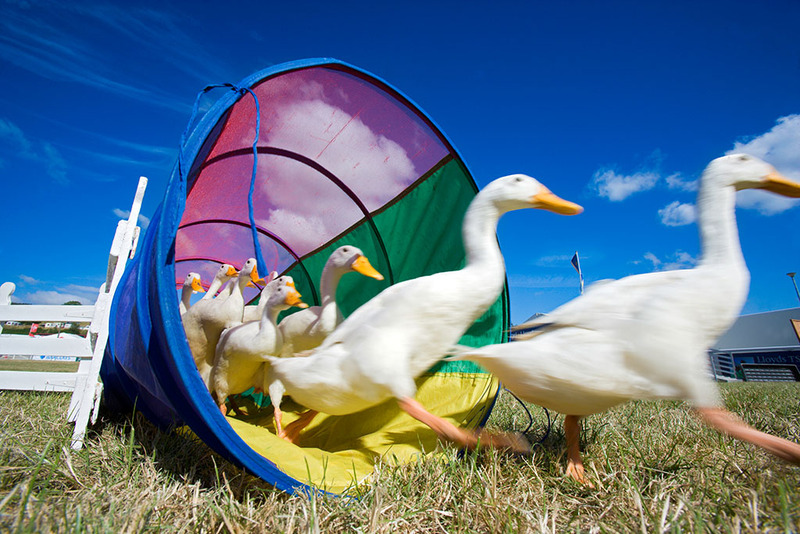 The Winter Fair is an agricultural prime stock show which has a number of trade stands & activities. It attracts visitors from across the world. The purpose built food hall provides a platform to promote and sell Welsh food & drink brands to a consumer audience in the run up to Christmas. Saturnalia is the Roman version of Christmas. We’ll be sharing some Roman food and drink with you, playing games, making Roman presents and rounding things off with a traditional Roman fight. And old meets new as there’ll be a visit from Father Christmas too. Enjoy a wonderful experience for the whole family and travel back in time to days of old. 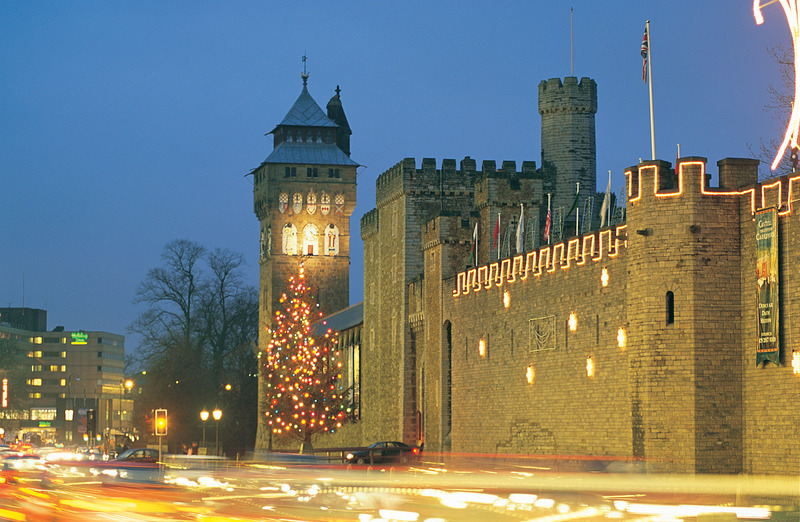 Experience the sights, sounds and smells of a town and castle preparing for Christmas. 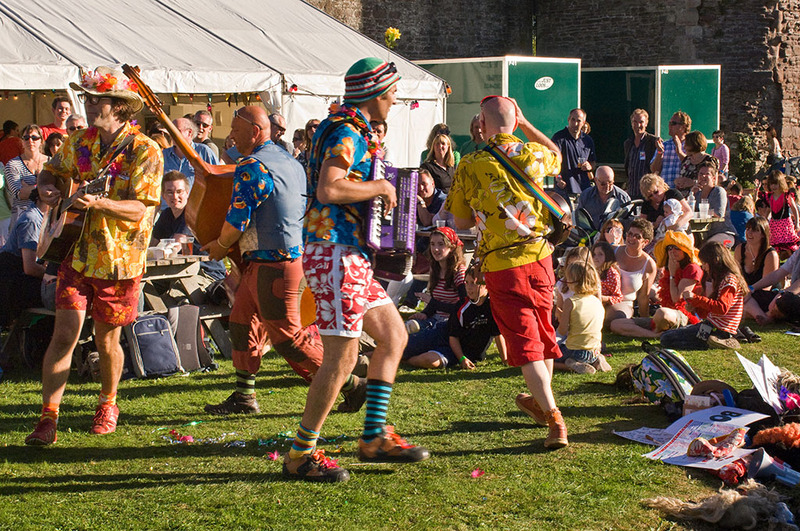 Listen to seasonal music and laugh at the hilarious frolics of the ‘Castle Jester’. Browse Caerphilly’s medieval market with over 150 traders around the event site selling food, replica medieval goods and traditional crafts. An offering of medieval acts and entertainment will entertain the young and old plus a variety of Christmas activities will keep the whole family entertained. 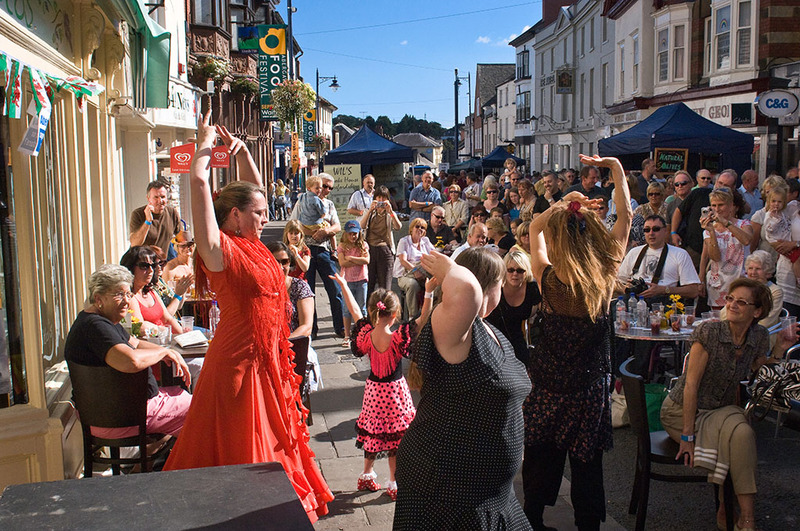 Activities and events include a farmers market, a continental market as well as a food and craft fayre. Street entertainers, re enactment displays, music, Santa’s grotto, cookery demonstration programme, children’s workshops and funfair rides provide a mixture of entertainment for the everyone. The Caerphilly Medieval Market has a variety of festive entertainment with much of the activities being free of charge. Entry into the castle, one of the Great Medieval castles of Western Europe is at a fee, although much of the entertainment around the town is free. 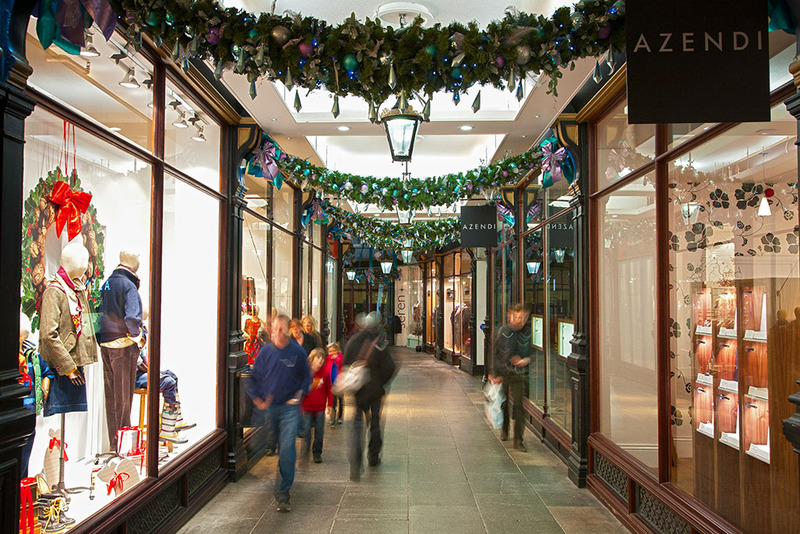 There is also a selection of shops to browse in around the town centre. Visit Santa and his helpers in his magical grotto. Santa will welcome every girl and boy and they will be able to talk to him before receiving a quality present. You can also take the children to post a letter to Santa in our specially decorated Travelling Post Office. Travel in old fashioned carriages through the beautiful Gwili Valley pulled by one of Santa’s Special Steam Engines. Our price covers all train travel, a trip on Santa’s Miniature Railway, a quality present for the children, festive food & drink for all. The annual Christmas Food & Drink Fair in Abergavenny – showcasing fabulous exhibitors from Wales, the Marches and further afield. We’ve got festive feasting all wrapped up. Fresh and cured meats, poultry and game, cheeses and chocolates, cakes and desserts, wines and liqueurs, ales and cider. The focus is firmly on food (no tinsel side-shows). Producers are mostly small in scale but big on taste – with lots of bright ideas to share. Plus there are bite-size chef demos throughout the day to help you up your game in the kitchen and host the best Christmas ever. Spend time with top-notch food experts as they create fabulous treats for you to sample in a relaxed and intimate environment. Get hot tips for seasonal fun and feasting to try for yourself at home. Whatever your plans, we have everything covered on the culinary front. Traditional, rare, exotic, or innovative – all tastes catered for. There are over 90 of the very best local and regional specialty food producers so you can stock up cupboards and get everything in place for the perfect Christmas celebration. The men and boys of Newport Cathedral Choir return to The Riverfront for their eagerly awaited Family Christmas Concert. Since last year the choir has sung in Westminster Abbey (where it is a regular visitor) and, for the first time, in St George’s Chapel, Windsor Castle. The choir’s mix of old and new, familiar and less familiar is always appreciated, and as always, there will be carols for audience participation and ;2contributions from a guest soloist. Come and get into the Christmas spirit at what is sure to be an inspiring and beautiful concert! The Tretower Household welcomes you to the Court which has been prepared to receive guests. Would you sit at the high table or be serving those of high station? Come and experience life as it was in 1470. The Tretower Household welcomes you to the magnificent court. The fire is lit, tables are laid and the kitchen is a bustling place. All is ready to receive guests. Talk to the cook about her favourite recipes. Watch or try a craft or listen to music popular in 1470. Handle the weapons necessary for defence in those days. Discover what jobs you could do. There’ll be a chance to meet the family every third Sunday of the month. One of Britain’s finest country houses noted for their art collection, luxurious rooms & award winning fine cuisine. Enjoy the magic and charm of the festive season at Llangoed Hall with crackling log fires, Christmas trees, personal service, fantastic food & most importantly the peace & tranquillity of this magnificent country house. Enjoy a Christmas to remember at The Grove this year. From the moment you arrive on Christmas Eve, we make sure every moment is memorable – filled with traditional treats and festive cheer. 3-night exclusive Christmas break is the perfect way for you and your family or friends to relax and enjoy the luxury of being pampered at this magical time of the year. Prices for the 3-night Christmas Break start from £315 per room per night, based on two guests sharing. This includes: two nights luxurious accommodation, breakfast, afternoon tea and cakes, together with pre-dinner drinks and evening dinner. The period between Christmas and New Year, is a great time to visit, especially if you’re wondering what to do with all your time off!! We are open for ‘Twixmas’ from 26th to 30th December, with great rates if you book early! You must admit that by Boxing Day, we’ve all had enough of getting organised for Christmas Day and exhausted afterwards! So it’s a good time to get out and about and treat the one who’s done most of the Christmas chores and enjoy some fresh North Wales air! The weather is usually great between Christmas and New Year and you won’t get a better offer to visit and enjoy some quality time with friends and loved ones.